Play this video while you read this blog. A wealthy and stylish woman in Los Angeles books a suite of rooms at an exclusive beachside hotel where she will host a party for LA up and comers. When the party is over and the hotel cleaning staff sweeps through the party rooms they gently lift the vile of unused high-grade cocaine from the coffee table to the dresser so that they can polish the table that has enough remnant cocaine powder to get 10 people high. Concurrent to the ultra hip LA party, young Mexicans partied at a Ciudad Juarez beer joint. Members of a Mexican drug cartel, armed with assault rifles, randomly fired shots into the crowd, killing eight, including six women who tended bar that night. That upped the number of Ciudad Juarez residents killed within a year to 3,000 by drug cartel thugs. An elite Gates Millenium scholar along with five Ivy League undergrads at Columbia University were arrested for selling cocaine and other illegal drugs through fraternity houses and dorms last December. state of Chihuahua state offices. She decried the leniency given to the man who shot and dismembered her 18-year-old daughter, because the murderer may have been aligned with drug cartel gangs and the court may have feared retaliation. 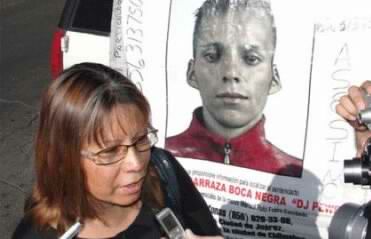 While denouncing the court’s ruling, the accussed shot Mrs. Escobedo Ortiz in cold blood. She died in the street. A former U.S. president admitted to using cocaine and our current president has admitted to the same. Last August, socialite Paris Hilton, visited the pokey for cocaine possession. Actress Mackenzie Phillips chronicled her and her family’s cocaine addiction in her memoir. Pop diva, Whitney Houston, may have lost her voice and health from her own admitted crack cocaine addiction. The message is cocaine use is cool used by cool people. Since 2006, Americans partying down with the white stuff, hold some liability in the 34,000 people killed in Mexico by drug cartels. I wonder how these chic cocaine snorting Americans feel about the 1000 children who are victims of the Mexican drug cartels fight to get coke into the hands of that wealthy and stylish woman in Los Angeles or Ms Hilton’s circle of friends? Even while I waited in the local car dealer for a repair on my vehicle a few weeks ago, and Eric Clapton’s “Cocaine” came through the radio and whisked through the dealer’s speakers, I watched some of the staff grove and wink to the tune. I thought about how incredibly stupid they were to even begin to think that by using or even occasionally using this addictive stimulant was hip. I thought about the stories that are so gross that they never make the mainstream news. Did you hear the one about Mexican babies stolen, gutted, and then stuffed with cocaine? Swathed in blankets and cuddled by its “mama” as its “papa” drives through border checks, a murdered baby delivers coke to some willing American college student. Whether it’s true or not, it’s not out of the realm of possibility. Money and power see no evil. I know cocaine users and I don’t like them. When the opportunity arrives, I don’t mind reminding them how their habit or recreational use is one of the most socially horrific acts they can commit. It’s selfish and with consequences—nightmarish consequences to the indigenous communities enslaved to grow coca, to the extraction of the cocaine alkaloid, thru the transportation and smuggling, and then into the cartel battles where tens of thousands violently died just for the lust of drug money. There is good news. Cocaine use in America has dropped since the 1980s. But there is some evidence, however, that it is on the rise again. Still, the United States consumes about 50% of the total worldwide usage. That’s an unfortunate statistic that needs to change. The change can come from a conscious effort to shame well-heeled users and fight to end the addiction of crack cocaine in lower-income regions. The United States can spend all the money it can afford to battle drug wars south of the border, but until Americans stop buying drugs like cocaine, then the battle is a lost cause and funding up the nose and out the window.